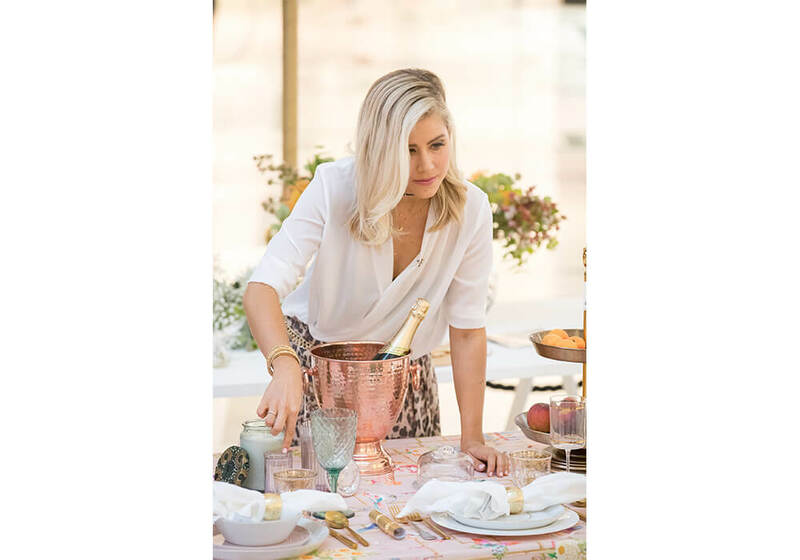 I recently hosted a series of Christmas table styling workshops for a preeminent Gold Coast shopping centre. 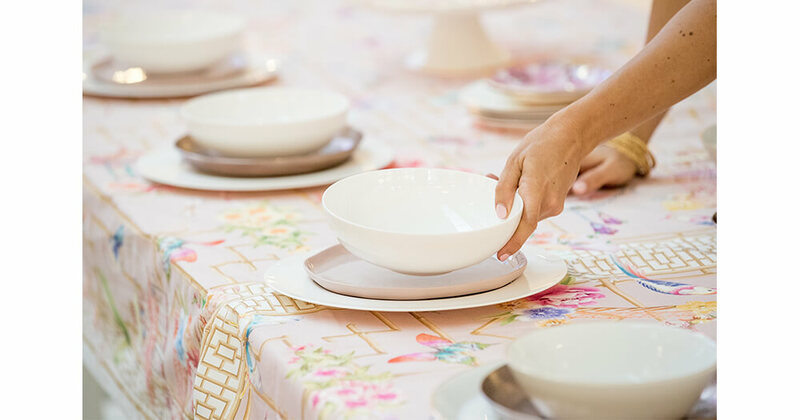 In preparing for the workshops, I visited 12 of their homewares and department stores to collate my table pieces, writes Interior Designer, Decorator and TV Personality, Carlene Duffy. I was blown away by the range and quality of homewares in stores at the moment. Retailers are responding to a global preoccupation with making our homes pretty and never has there been such variety of homewares in stores. Even retailers which traditionally don’t sell home products at all have tapped into the market, which speaks volumes. By all respects, this sounds great for us house-proud consumers. But the problem that comes with too many options is, well, too many options. The more we have to sift through and choose from, the more difficult it can be to pull a look together before becoming completely overwhelmed and bamboozled by the amount of choices available to us. The best advice I can give you is to start with a vision, a concept, an idea. And the best way to conceptualise with your vision is by seeking inspiration from the plethora of design imagery at our fingertips. Pinterest, Instagram and good old fashioned interiors magazines are the ultimate way to come up with a look, whether it be for a beautiful table setting, a bedroom or landscape design. That said, to every concept, there are some basic points to observe to achieve a look that impresses, both practically and aesthetically. This year, for my Christmas table, I am doing things right. I am going the extra mile to make my guests feel special and welcome (even if it is just our immediate families) and hopefully, I can inspire you to do the same. A good-looking Christmas table setting needs a smart foundation. However, it doesn’t necessarily need to be a tablecloth. It’s perfectly acceptable to use placements and a table runner if your table top material is in good condition and might contribute to the look you are aiming for. If you do opt for a tablecloth, which I like for its formality, don’t immediately settle for a plain white kind. Yes, it is easy to work with - but first, ask yourself if it is conducive to your scheme. If you hit the shops you will discover a large range of tablecloths in all different colours and patterns, catering to every look, so dare to step outside your comfort zone. Because I am lifting my game this year, gone are the disposable serviettes and instead I am going the full hog with luxurious linen napkins adorned with festive napkin rings. Don’t feel obliged to purchase napkin rings either. For a more rustic Christmas table, you can be creative and wrap your napkins in some twine with a sprig of Rosemary for life and colour. Much like when curating any space, it is really when the flower arrangements are placed on the table that the space comes together. It takes your space to the next level and creates that sense of completeness. 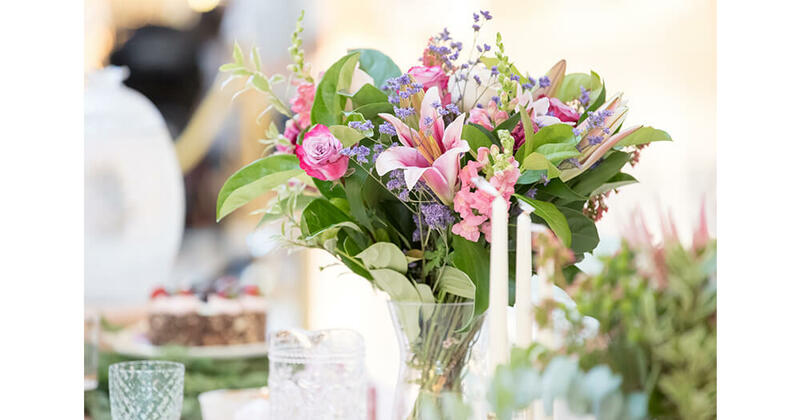 Of course, your flower choices should be with in keeping with your look. For my “fun and frivolous” workshop table scheme, I opted for a mix of soft petal flowers in all shades of pink. Whereas, my Australiana-style table called for native flowers and foliage in earthy, muted colours. You might also be relieved to know that you don’t need to spend a bomb on rare, imported flowers from overpriced florists, I frequently pull foliage from my own garden (and sometimes my neighbour's gardens). Wildflowers also do the job nicely. Generally, as long as it’s living and arranged with thought, it will help bring your space to life. The ultimate beautiful Christmas table setting is made up of a good range of pattern and texture. This doesn’t mean the result needs to be over the top. The pattern and texture need only be subtle if that’s what your scheme demands. However, don’t be scared to really mix things up for an eclectic look. 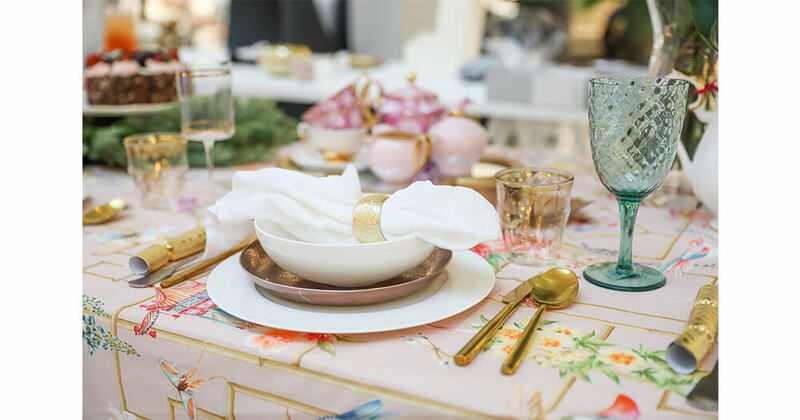 My “fun and frivolous” table, for instance, called for overstated contrast, and there is no better excuse to get crazy than in the silly season so I felt perfectly comfortable using a good mix of dinnerware, drinkware and cutlery. Not only that but if we have to go out and purchase whole new matching sets of 20 it can simply be cost-prohibitive and we know Christmas is expensive enough. Creating a sense of aesthetic balance on your table comes with a lot of playing around and experimentation. Space out your tall items, short pieces, and wide items across the table to avoid certain areas of the table appearing top-heavy. Use trays to group items both for aesthetics and for functionality. For instance, in my “fun and frivolous” look I laid a small gold-framed mirror on my table to hold my tea and coffee items. Apart from looking neat and fabulous, it helped to keep certain items together so they could be easily identified on the table. Gone are the days where our only option, when it comes to cutlery, is silver. My recent shopping expeditions proved that gold is having its day, not only in homewares but in tableware. Because old-world, classical charm is also influencing design at the moment, there is a large range of really pretty, embellished cutlery and if there is ever a time for ornate detail on your table, it is Christmas. As for mixing metals on your table, as long as it is suitable to your scheme, go for it. 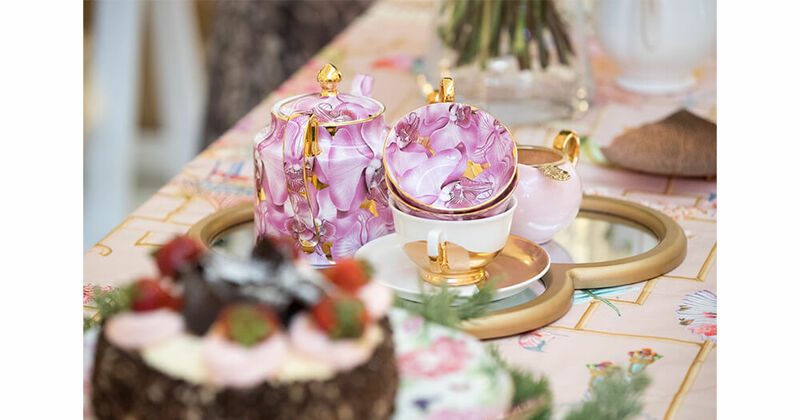 For instance, my “fun and frivolous” table scheme was all about ‘more is more’ and was also all about plenty of pink so I very happily mixed gold, silver and rose gold (which, like copper, perfectly pairs with pinks). The combination of metals worked together in perfect harmony. Whereas, in my laid back, more relaxed, Aussie-inspired table scheme I was diligent in keeping to silver only on my table for a sense of simplicity and calmness (Aussie-style). Lighting on your Christmas table is a must if you’re entertaining after sun down - we all know Christmas is synonymous with lights. It can be as simple as grouping some candles together in different shapes and sizes or you may like to create a more formal look with decadent candelabras. Alternatively, create an instalment above your dining table with a creation of fairy lights. Failing that, you really can’t go wrong suspending ever-festive festoon lights for the ultimate in fun and whimsy for your Christmas celebration. It really is the most wonderful time of the year so whatever you do, have fun with your Christmas styling and Merry Christmas. If love working with light and shade, fabrics and furnishings, patterns and texture and everything in between, a career in Interior Design may be perfect for you. Learn more about the industry here.